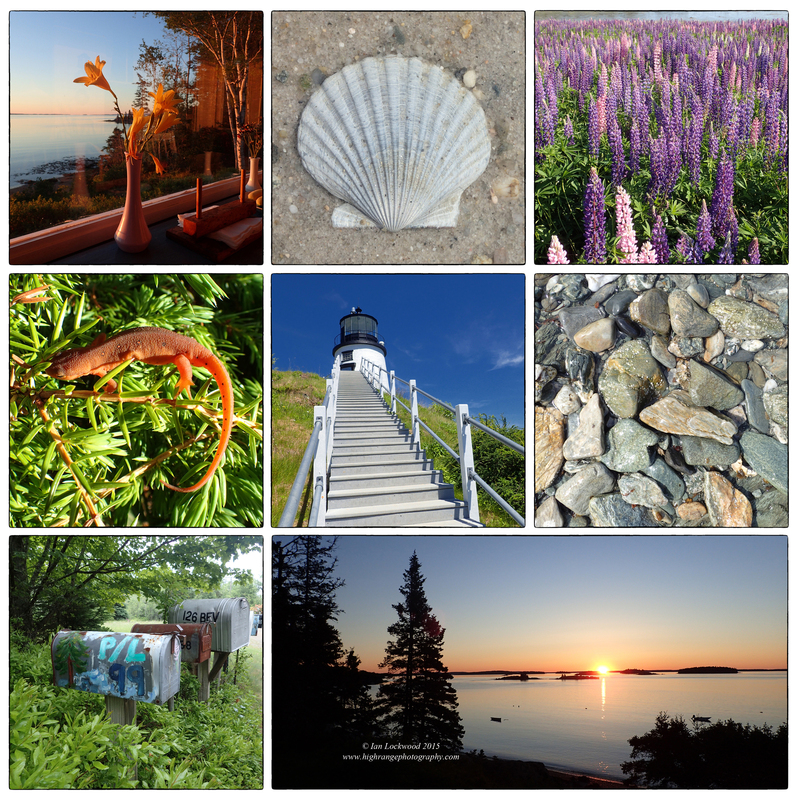 This summer I had the opportunity of spending time in the coastal and interior areas of Maine. Penobscot Bay and the island of North Haven have been a summer destination for the Patton/Lockwoods but it was the first time hiking in the beautiful, less-populated mountains towards the center of the state. Summer on the Maine islands is a special experience, with long hours, relatively mild weather conditions and opportunities to interact with nature on land and sea. The landscape of cold water, small islands, rocky coastlines, conifer forests and meadows is sublime. Generations of our family have come here to recharge, disconnect from the wired world and spend time together. Being outside exploring coves & small islands while working in the garden and sharing the communion of good food are central in the experience. Mount Katahdin marks the end (or beginning) of the Appalachian Trail and is also well known as the highest point in the state of Maine. It was named by the Penobscot Native Americans and is located at the center of Baxter State Park in central northern Maine. My cousins and I have had our eye on the mountain for some years but it has seemed a long ways away from the little Lockwood/Patton cottage on North Haven Island. When I was on the ETL program in Cobscook Bay one of our instructors Cloe Chunn shared stories of Baxter (she is the author of 50 Hikes in the Maine Mountains). This summer my cousin Peter Lockwood and I took four days to drive up to Baxter and climb the different ridges and summits that make up the Katahdin massif. It is an exquisitely beautiful part of Maine and the park has endless opportunities for hiking, boulder scrambling, water rafting, cycling, camping and much more. The collages here are a small glimpse of North Haven and Katahdin. 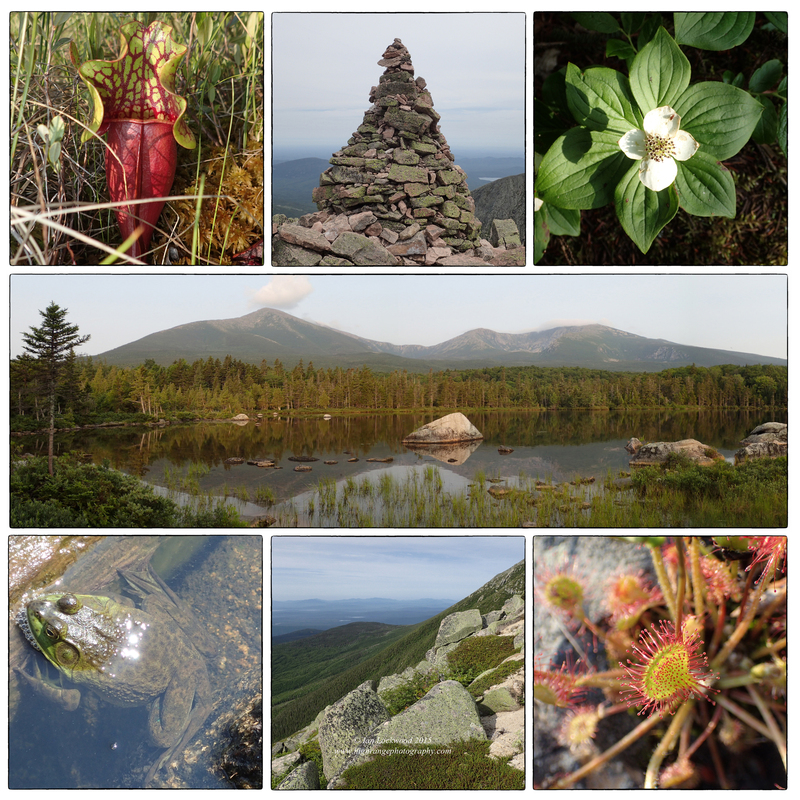 Snapshots from Katahdin with several favorite species including pitcher plants (Sarracenia purpurea) and sundew (Drosera rotundifolia). The central landscape shot is from the Sandy Stream Pond. Katahdin: A Guide to Baxter State Park, 7th Edition. Farmington: Baxter State Park Authority, 2012. Print. Katahdin: Baxter State Park Waterproof Trail Map. Map Adventures, 2015. Print & Web.